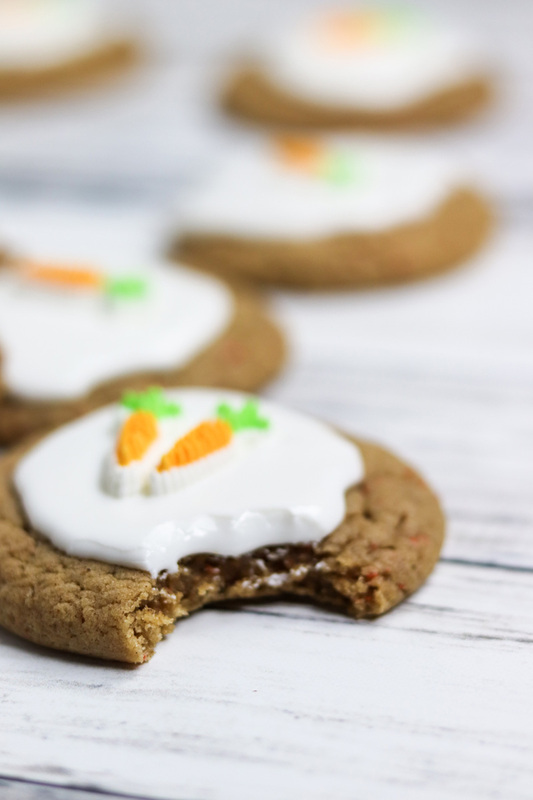 Soft, moist and incredibly easy, these Cake Mix Carrot Cake Cookies are so much fun to make with only five easy to find ingredients. Today is our final posting date for our fabulous EasterWeek. I’m sad but I got a fantastic round up of excellent recipes for Easter, so who’s complaining! The whole event was put together by Christie of A Kitchen Hoor’s Adventures. She is amazing and honestly this event was so much fun! I think we all had fun sharing recipes that will hopefully help inspire your Easter menu. 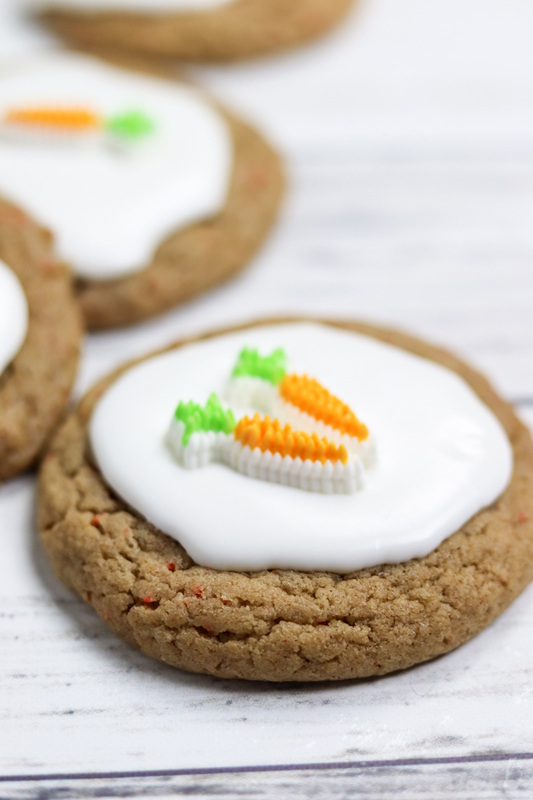 These carrot cake cookies are super simple and yes, they start with a box mix. What you call “Almost Homemade”. But honestly, it’s worth it and you cannot tell. My whole family gobbled them up and couldn’t get enough. You can whip up a cream cheese frosting to top these carrot cake cookies, or you could leave them plain. 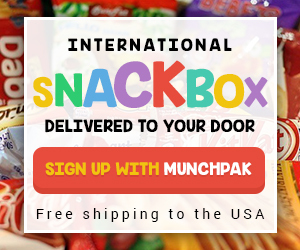 That’s all up to you – any way you serve them they re fantastic! 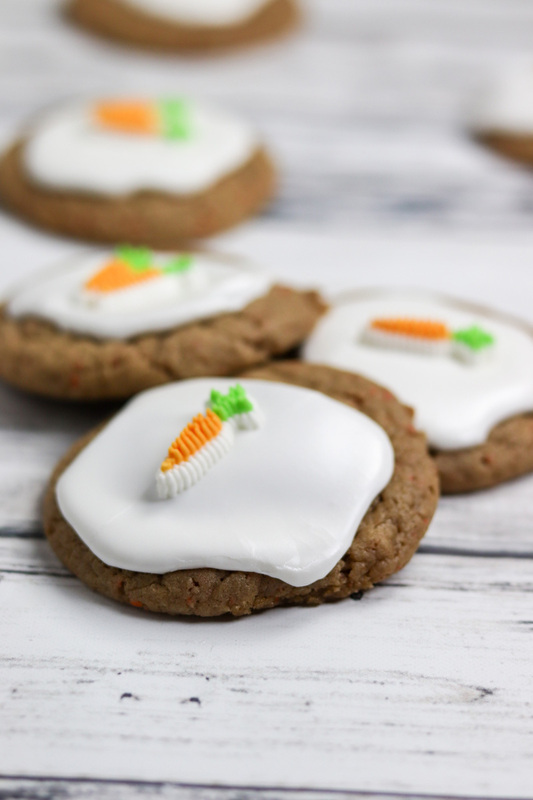 We used a cookie icing and then topped with cute little candy carrots to make them a little more festive. Are you ready to make Carrot Cake Cookies? 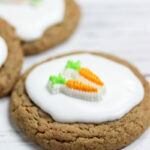 Soft, moist and incredibly easy, these Cake Mix Carrot Cake Cookies are so much fun to make with only five easy to find ingredients. A fun springtime recipe or easter brunch recipe. In a large mixing bowl, mix together all of the ingredients until incorporated. Refrigerate the dough for about 30 minutes. This is not a mandatory step, but it makes the cookies bake up better and it makes them easier to work with. Remove dough from refrigerator. Form into balls and place on ungreased cookie sheet about 2" apart. Bake at 350 degrees for 8-10 minutes. Cookies will be VERY soft but cooked when removed from oven. Allow to cool 20 minutes before moving to cookie rack and cooling completely. 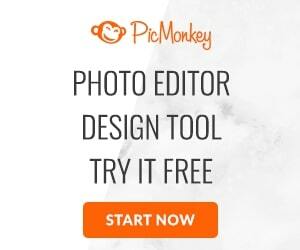 Don’t forget to check out all these amazing recipes! These are adorable and sound delicious. I love “cake” cookies! Love that these start with a cake mix! 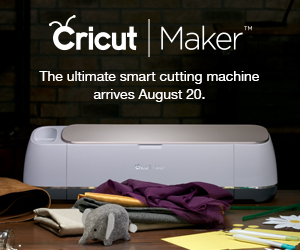 They’ll be fun to make with my niece. 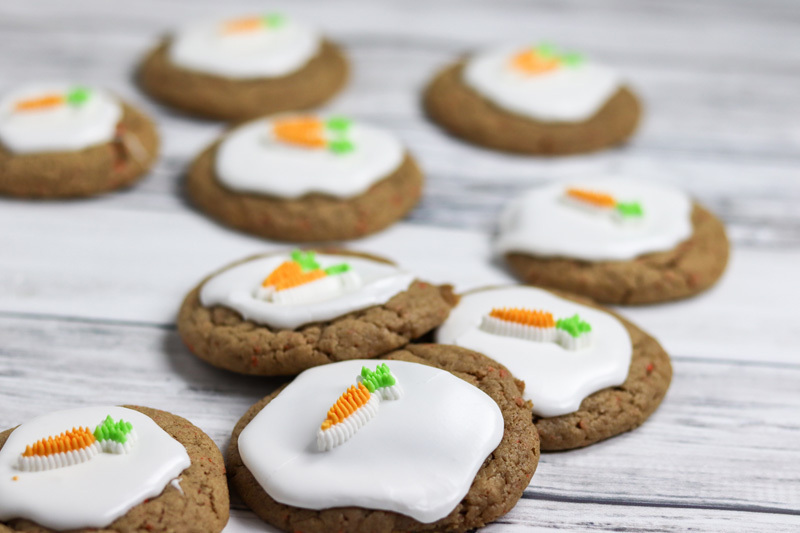 Love the little carrots you found to decorate these cuties.